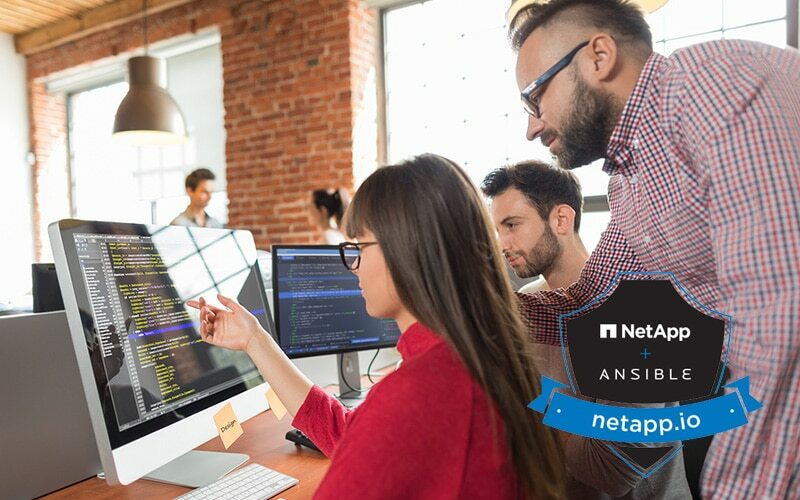 Ansible makes the management of NetApp systems easy. Sometimes, though, groups don’t have the time or inclination to create their own playbooks. Ansible has a solution that can ease this issue, it is called roles. An Ansible role is a collection of playbooks, templates, and variables that can be hardcoded or allow pass in by the end user. This series will cover Ansible roles that have been created to make the management of ONTAP easier, starting with cluster configuration. With the release of Ansible 2.8, changes to some modules allow for optimized role creation. While Ansible 2.8 doesn’t release until the first week of May, all the NetApp modules for 2.8 have been approved and merged with the GitHub site for Ansible. You can read part two of the five part getting started series for instructions on updating from this source <here>. NetApp keeps all roles we produce in our GitHub space in the repository https://www.github.com/netapp/ansible. Working with the NetApp roles is easy. To prepare your Ansible system for the roles, you need to be sure you have an /etc/ansible directory. Next, using git, download the modules to a content folder in the /etc/ansible directory. This will create a content folder in /etc/ansible and load the roles there. When new roles are released or roles are updated and you want to get the newest versions that is also easy. This will update the roles to current versions. There is still one last step to make using these roles in playbooks easy. You will create or modify a configuration file for Ansible in /etc/ansible. You will use that file to tell Ansible were these roles are so that you can use their short names in playbooks. Add the following two lines to a new file, or just the second line to an existing file under the [default] section. The third line is optional but will clean up your output. In Ansible 2.8, releasing May 2nd, changes will be made for how some features work. We are making the edits to match these new features, but until they are all done a warning will be produced. The third line silences that warning. Now that you are finished with the setup, using this role to configure an ONTAP cluster is easy. The first thing you will need is a playbook to call this role. So, that playbook will either read in a file in the same directory called gloabls.yml or you can specify an extra-vars for file to specify on a per run basis which file to use. The playbook also uses the gather_facts module to look up the version of ONTAP so that all the tasks run in that version of the API calls for the most efficiency. The tasks in this role require the information from that gather_facts module so it cannot be excluded. motd: "Only authorized personal may use this system." motd: "The login in message you would like displayed when someone ssh's into the system"
ifgrps: # Create and add ports to Interface Groups. inters: # Create intercluster lifs for SnapMirror. You can have a single file to read in per cluster, or you could have one file that has the defaults, like MOTD, DNS, NTP, SNMP and read it and the file for a cluster simply by specifying both variable files in the vars_files section. Roles for create Vservers, NAS and SAN volumes (shares, exports, LUNs) and a role for creating a SnapMirror relationships including verifying peer settings are coming so check back soon. As always, if you aren’t already on our Slack Workspace you should join at https://www.netapp.io/slack. Join me and other developers for Ansible in the #configurationmgmt channel. Also be sure to check out the other sections on www.netapp.io for information on all our Open Ecosystem projects including OpenStack and Containers.